Hello dear artists and comic book lovers. 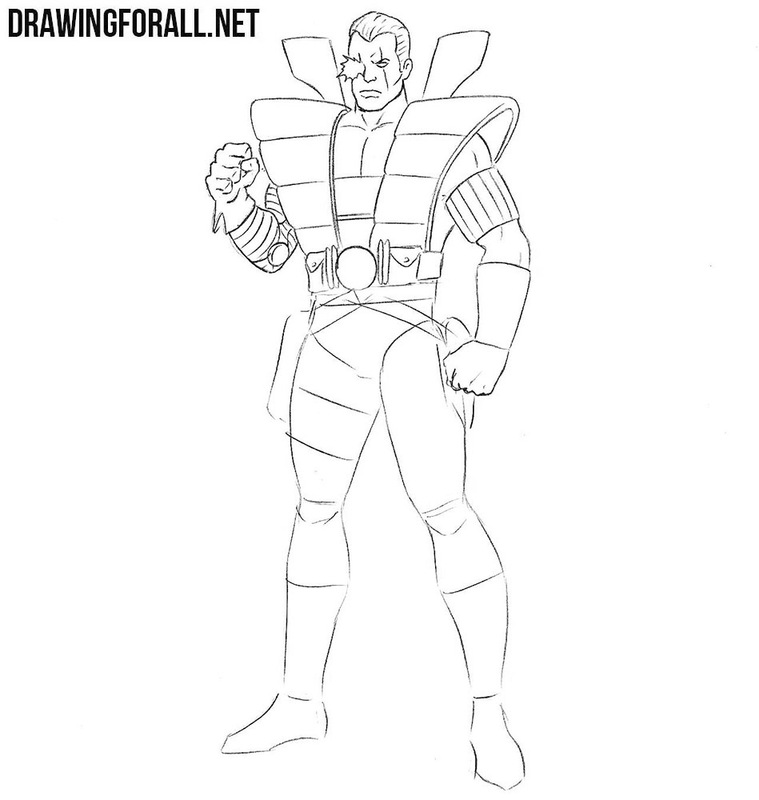 Today we show you how to draw Cable. 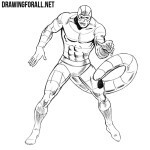 As you know this character is a comic book superhero from the Marvel Comics universe, mostly associated with the X-Men. 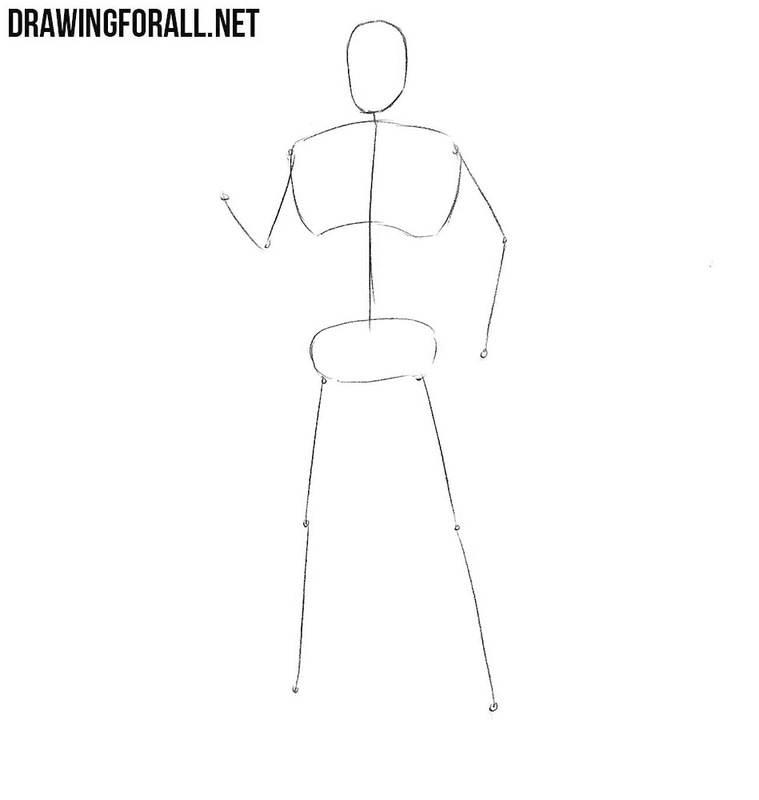 In order for our character to be symmetrical and smooth, first thing we need to draw his skeleton. The skeleton will be the basis of our future drawing. We must start with the head, drawing it in the form of an oval. Next, outline the spine using a simple line. On the line of the spine draw the chest and pelvis. Next sketch out the arms and legs and the move to the next step. Now we need to give a little volume to the body of our Cable. But first sketch out two lines intersecting exactly in the center of the face. Next, outline the neck and torso, which narrows at the waist. Now with the help of simple geometric figures sketch out the arms and legs. By the way, in the lesson about Dr. Manhattan we in detail told how to draw the body of a superhero. Now let’s add the most basic details. Moving from the top down, first outline the hair, eyes, mouth and nose. The main characteristic feature of the Cable face is his luminous eye. Now add the details of the clothes, as shown in our example. The basic shapes are ready, starting with this step we will work with the final details. With the help of clear and dark lines draw out the outlines of the hair. Next draw out the facial features in detail. 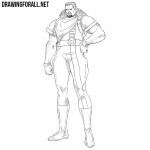 Draw the angular outlines of the face of our character. 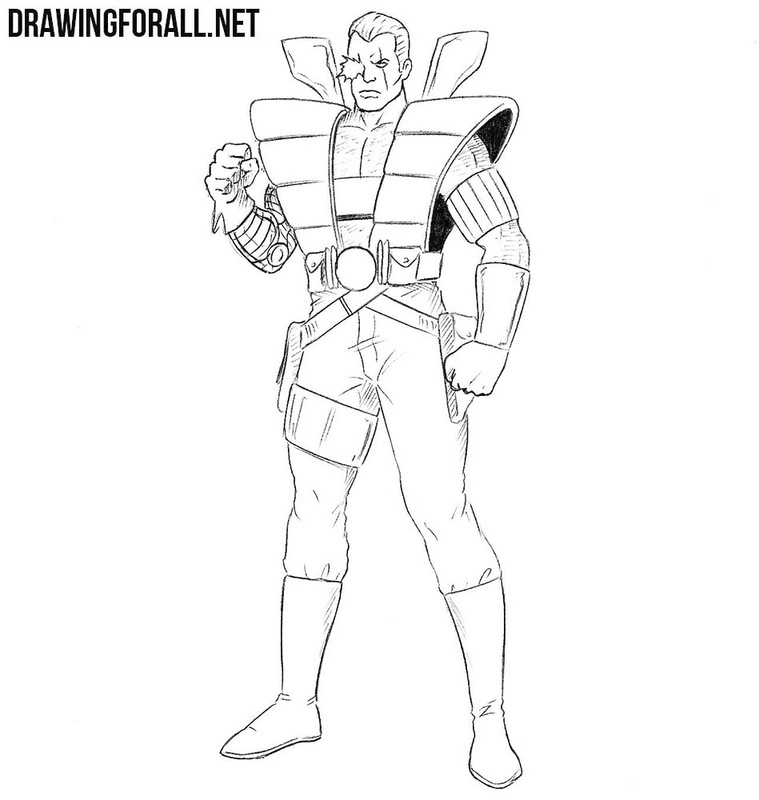 Now let’s move on to the torso of Cable. Gently draw the neck. Next move lower and draw pectoral muscles. Next, draw elements of clothing that lie on the sides of the torso. After that draw the belt with a buckle and bags. At the end of the step remove all unnecessary guidelines from the torso. Now let’s get to the arms of our Cable. Carefully draw the outlines of biceps, triceps and forearm muscles. Below draw hands clenched into fists. On the right hand we draw transverse lines to make it metallic, like Jax’s from Mortal Kombat. And of course we do not forget to delete all unnecessary lines from the previous steps. Now let’s move to the lower body of our Cable. 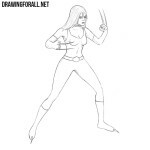 Remove all remaining guidelines and draw out the outlines of pants and details of clothing on the lower body. When you draw the legs, do not forget to take into account the contours of the leg muscles under the clothes. Add all the necessary seams and folds as in our example. 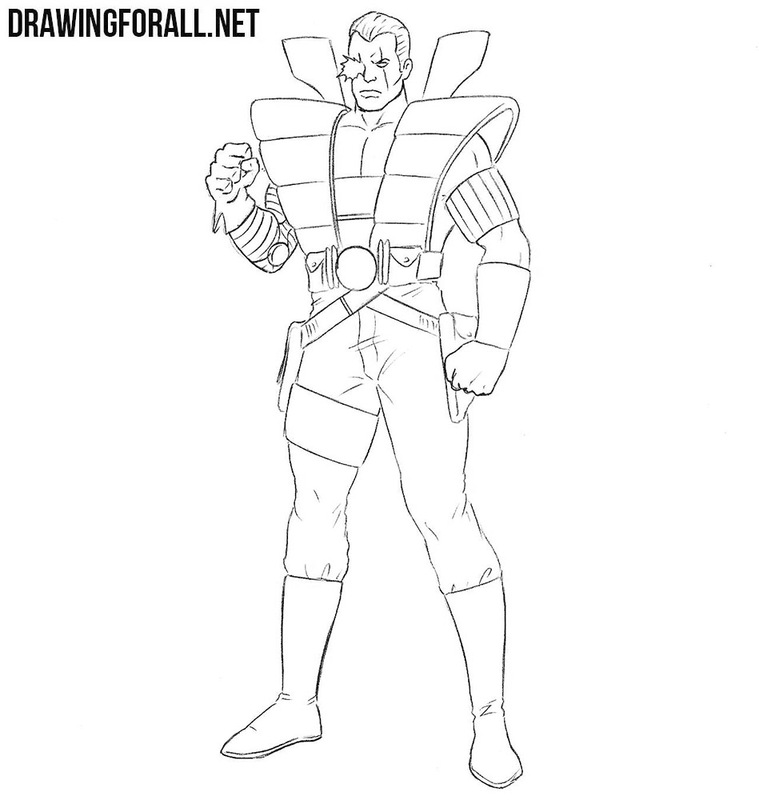 So, Cable drawing is almost ready and we just need to add the finishing touches and draw some shadows. First of all, let’s take care of the darkest shadows. We will need to paint them in solid black. Now, using hatching add lighter shadows. 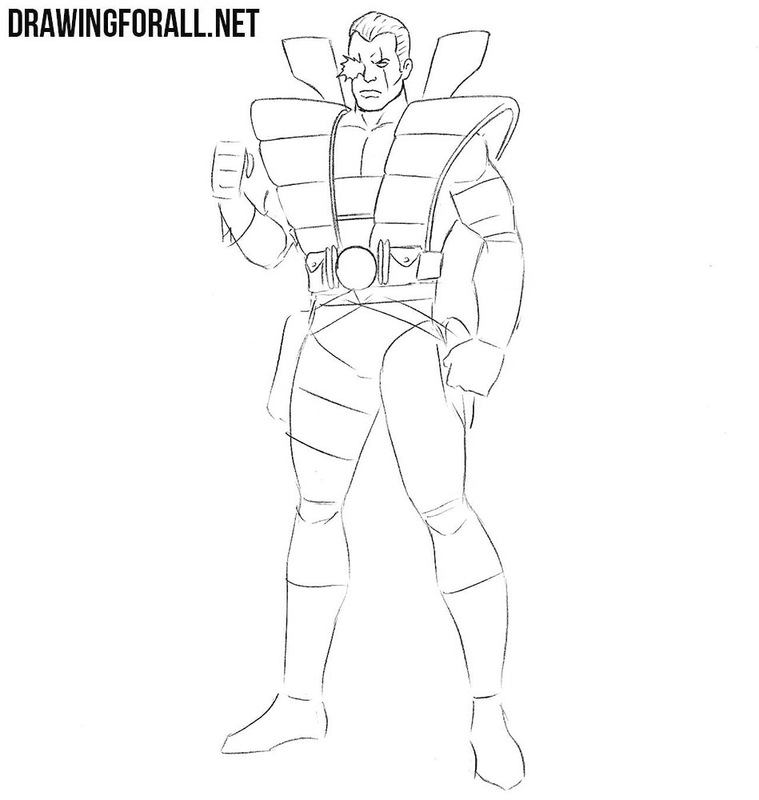 Using short lines draw hair on the chest and arms. 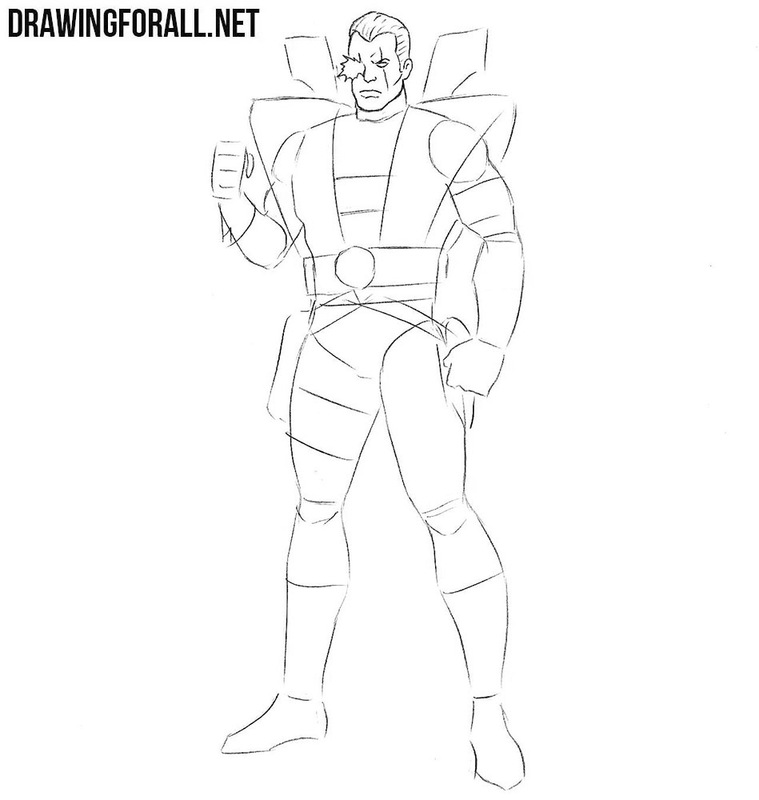 It was a lesson about how to draw Cable from Marvel Universe. 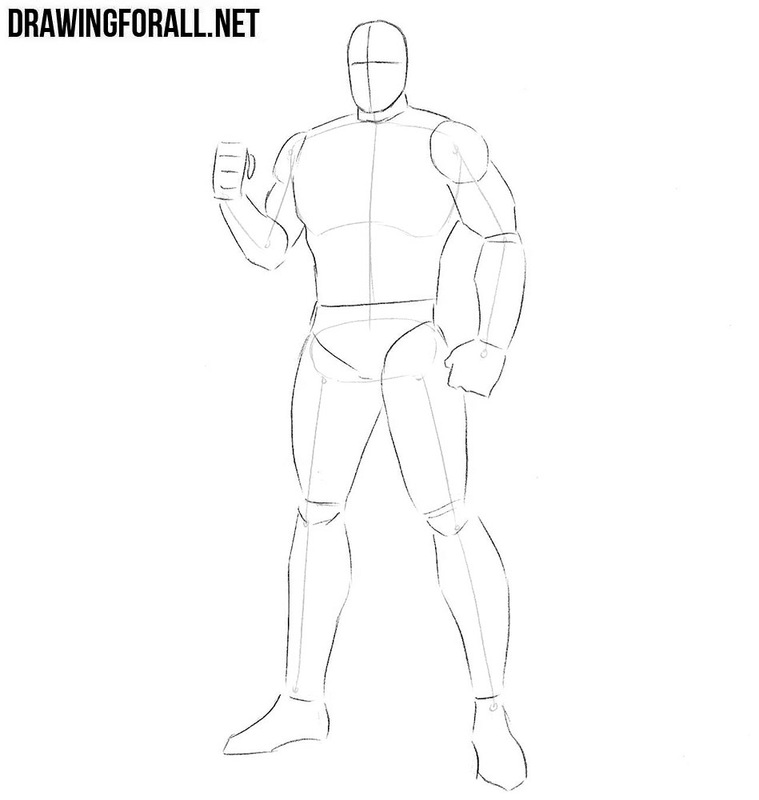 At the end of the tutorial we traditionally want to give you some tips that will help you in the drawing process. 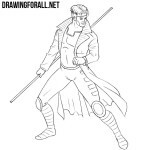 Comic artists circle a drawing with liner or ink before they start painting, and you can do the same. At the first steps try to use very light lines, because in the last steps we have to erase these lines.